Jan 13th/89 Sunday. 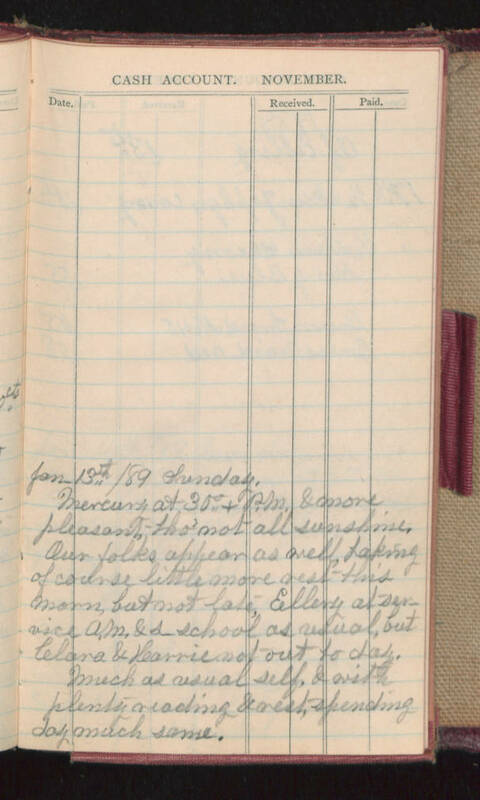 Mercury at 30°+ P.M. & more pleasant tho' not all sunshine, Our folks appear as well, taking of course little more rest this morn, but most late, Ellery at service A.M. & a school as usual, but Clara & [illegible] not out today. Much as usual self, & with plenty reading & rest, spending day much same.